Get Fresh! 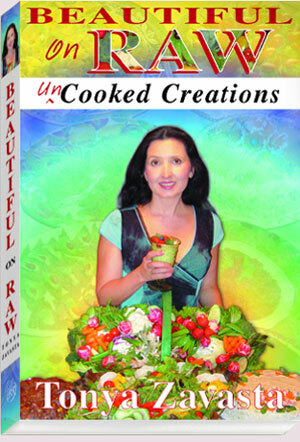 is the best raw food magazine for people passionate about pure food, health and living life to the fullest. Good nutrition is the foundation of good health, and Get Fresh! is the only professionally-produced magazine in the world that will tell you about the diet we should all be eating - a diet based around nutrient-rich, enzyme-rich raw and living plant foods. Hi Tonya, the issue with you on the cover is selling really well in the stores over here. My local health store sold out in a day! And I'm getting consistent reports that it's flying off the shelf in all the stores. -- Sarah Best, editor of Get Fresh! Tonya Zavasta on the benefits of marrying two of the most powerful rejuvenating practices in existence. Tera Warner with 12 simple strategies for overcoming compulsive and emotional eating once and for all.